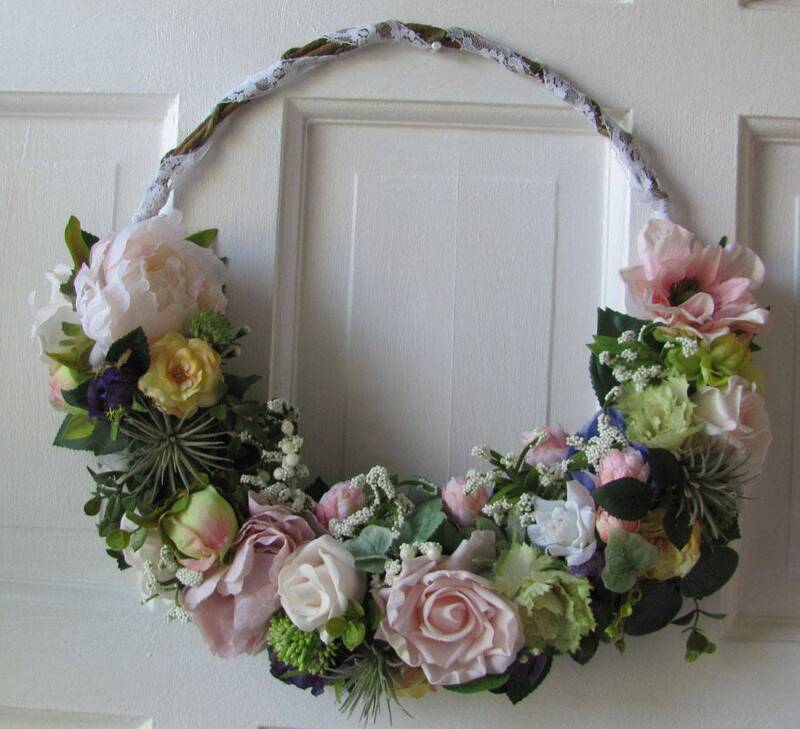 Hoop wedding wreath, or pretty wall décor for a baby girls nursery or a trendy boho bridal bouquet hoop for the bride to carry on her wedding day and afterwards a pretty decoration for her home. 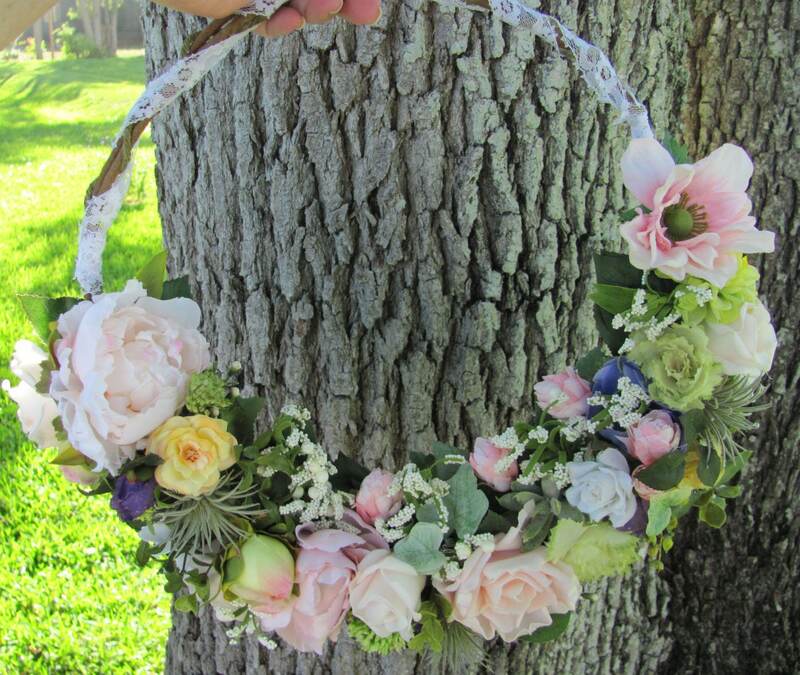 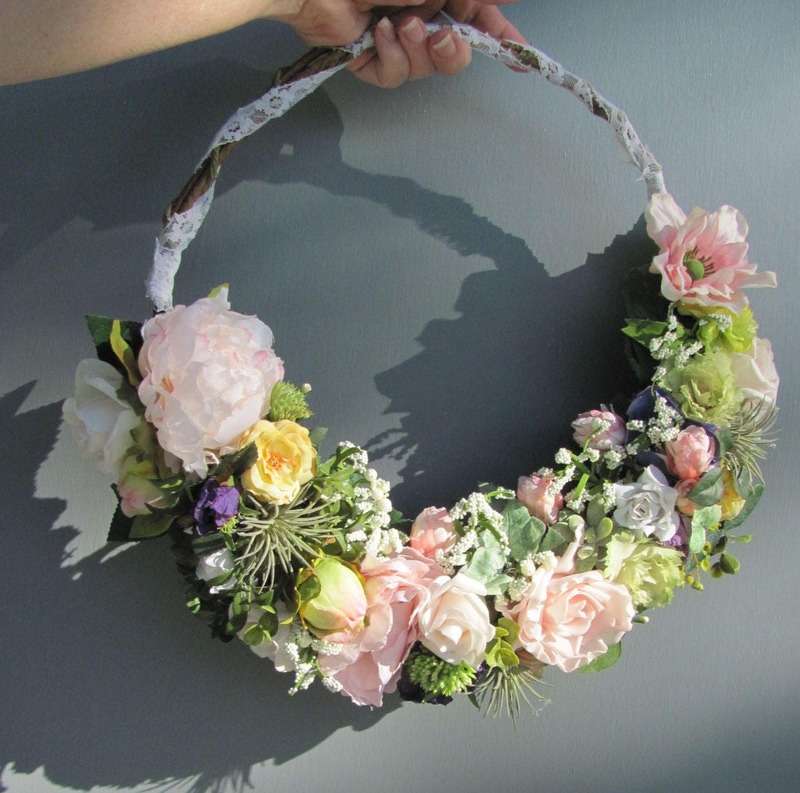 This wedding floral hoop can be carried by the bride or used as décor. 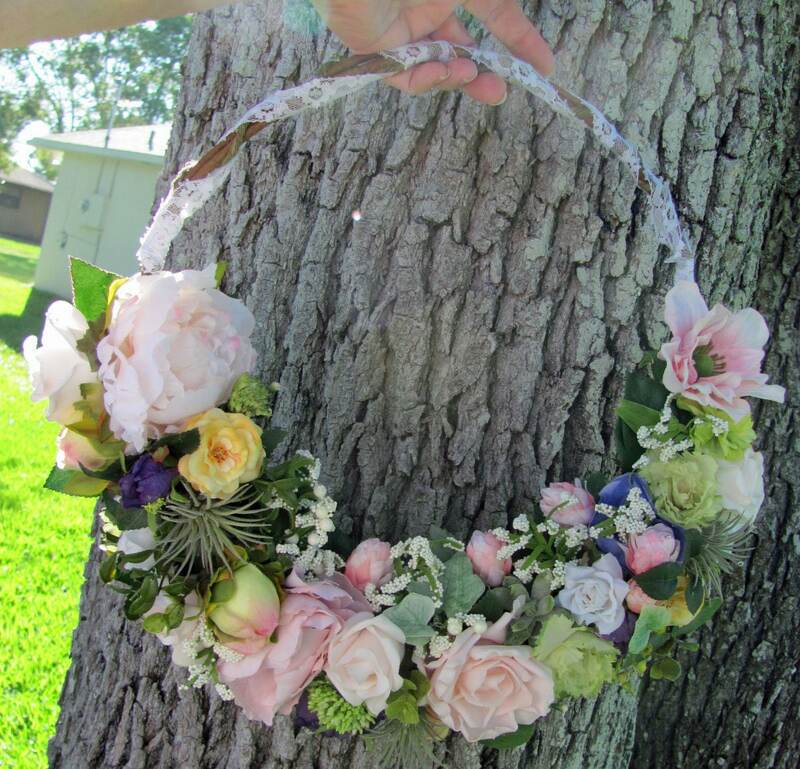 It measures approximately 14.5 inches in diameter. 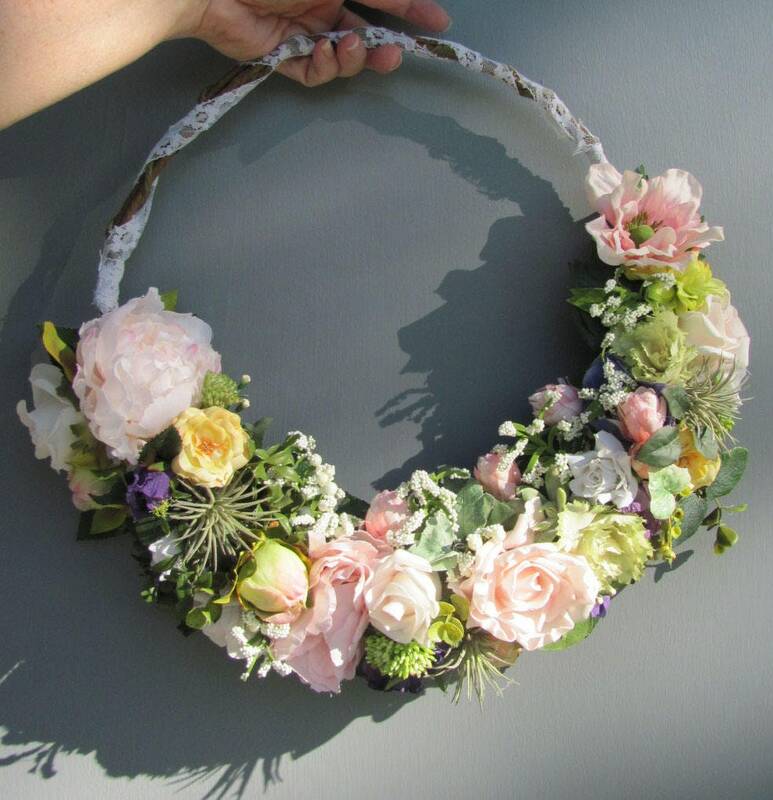 Please note that custom orders are welcomed!